Casa Central is preparing to transition to new leadership. The Board of Directors of Casa Central announced the appointment of Martin R. Castro, Esq. as the Interim President and CEO, effective November 1st. Castro will provide executive leadership and assist Casa Central in strengthening its relationships with partners, donors, and advocates. Castro is President and CEO of Castro Synergies, LLC where he provides strategic consulting services to corporations and non-profits, and will continue in that role as he assumes his role at Casa Central. Previously Castro was a practicing corporate and commercial litigation attorney for over two decades in Chicago. Since January 2016, Nilda La Luz has served as the Interim CEO and President of Casa Central, while continuing to ensure the uninterrupted delivery of exceptional programs. 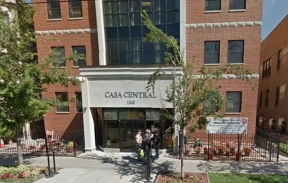 La Luz has chosen to accept the role of Chief Operating Officer for Casa Central and will work with Castro as he steps into the interim CEO role. “I’m honored to have to opportunity to help build on Casa Central’s legacy of helping generations of Chicagoans meet their full potential. I look forward to helping the organization continue forward and prepare it to address the challenges and opportunities that face the community today and tomorrow,” said Marty Castro. If you would like to join Casa Central in thanking Nilda La Luz for her accomplishments and welcoming Marty Castro, at their annual Casa Central Gala, head over to casacentral.org for the details.